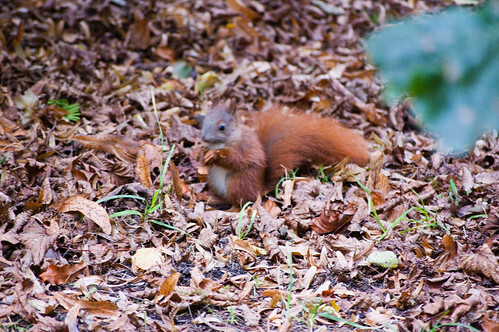 Red squirrel rushing around among fallen leaves. Not a sight possible anywhere on the English mainland. This one was in the grounds of the Charlottenburg Palace in the suburbs of Berlin.